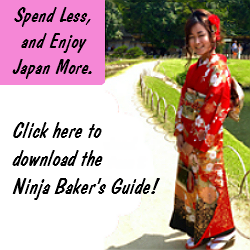 Do you dream of eating sushi in Japan? If your bank account is brimming with dollars, by all means get in the queue for a seat at Jiro Ono’s sushi bar. If not consider Kyubey in Tokyo. (The link is in English.) 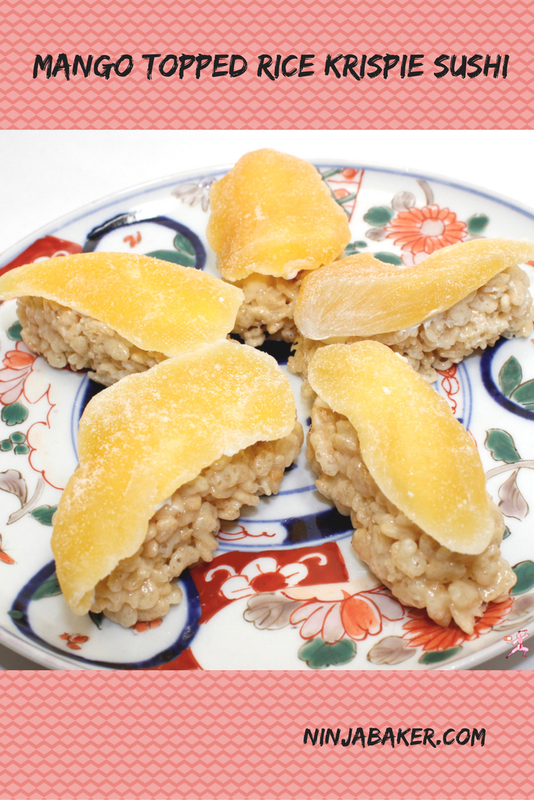 DoJimaHamaShin is recommended if in Osaka. (This link is also in English.) You’ll get top-quality sushi at reasonable prices. Japan travel tip: Stop by the fancy sushi bars at noon. Your bill will be considerably less than a dinnertime visit. Of course, you can always find kaiten revolving conveyer belt sushi restaurants. Kaiten sushi is great for those of us on a budget. You probably won’t find the sedate, serene atmosphere of a traditional sushi restaurant. The kaiten sushi self-serve establishments tend to be bright, cheery and informal. On Japan’s northernmost island, Hakodate, Sushi Maru Togura Shop, a toy bullet train circles the restaurant and delivers sushi to customers. 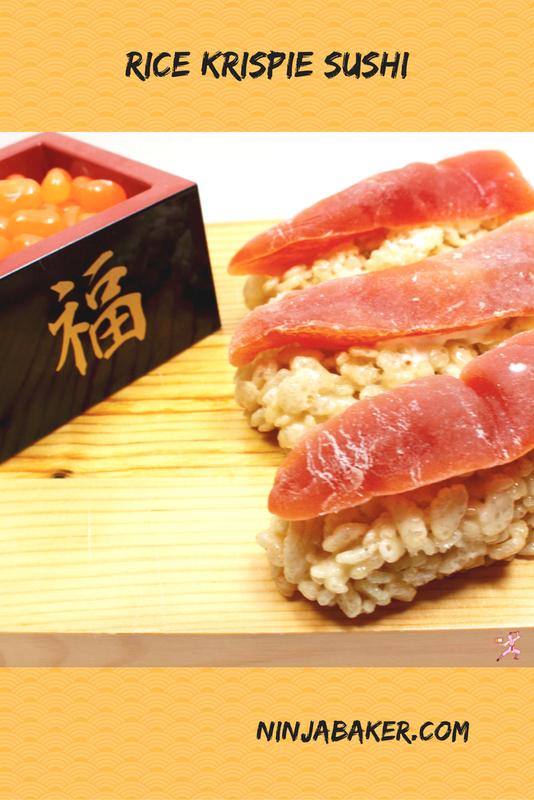 Two hours south of Tokyo, Numazu city’s Donguri creatively adapted the kaiten sushi concept. Instead of a train track or conveyer belt, the cafe’s owners built a moat. So spectacular soba noodles and ice cream sundae arrive in boats! The traditionally sweet marshmallow treat is topped with dried mango and papaya spears. 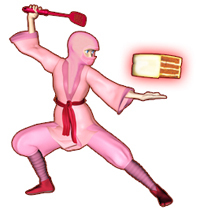 Ninja Baker Note: Fruit garnishes the Rice Krispie treats so technically this is a healthy dessert. The Rice Krispies Sushi base is made as written on the unbeatable recipe on the cereal box. Coat a deep pan with butter. Melt 3 tablespoons of butter in a microwave for 30 seconds. Pour into the deep pan with the marshmallows. Over a low heat melt the marshmallows. When the marshmallows are melted, remove the pan from the heat. Stir in the Rice Krispies. When the cereal is coated with the marshmallows, transfer to a greased pan or wax paper. Allow the mixture to cool a minute or two. Form the warm marshmallow cereal mixture into sushi shapes. 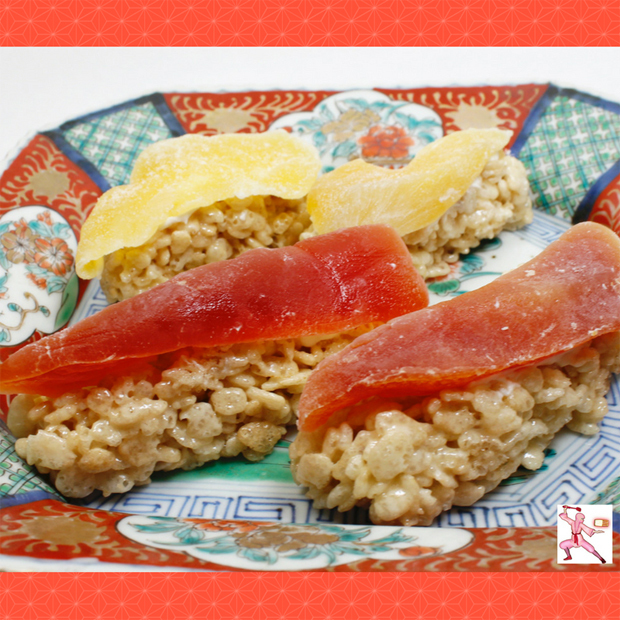 Top the Rice Krispie Sushi with dried papaya spears and/or dried mango. This page hosts Amazon Affiliate links. This Sunday Supper banquet of picnic delights is hosted by Christie Campbell of A Kitchen Hoor’s Adventures. Wishing you treats today and every day!